In Paul Thomas Anderson's There Will Be Blood, Daniel Plainview is driven by his obsession with power and money. His greed ultimately leaves him bitter and alone, but his greed is the driving force in his life, pushing him to self-destructive heights to attain his goals and ensure that he is the only one that will succeed. It is a Citizen Kane-like arc, all the wealth and power in the world and no one to share it with other than the cavernous, empty halls of his mansion. David Fincher's Zodiac is a case study of obsession in many forms. On the one hand, it shows how obsession with the Zodiac case consumed, and in some cases destroyed, the lives of the men who tried to solve it. On the other, it is a mirror to a world obsessed with murder, and how in a sense, the Zodiac killer was created by the American public's obsession with murder. The Zodiac fed off the public frenzy created by his murders to the point that he courted attention and the media for his own sick game. 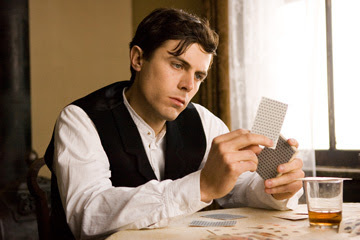 In Andrew Dominick's The Assassination of Jesse James by the Coward Robert Ford, young Robert Ford's obsession with the mythos of Jesse James that turns out to be nothing more than a romanticized fraud concocted by the press and the authors of dime novels. It is that obsession that fuels his disappointment (in a haunting commentary on the nature of celebrity), and ultimately leads to tragedy and a whole new wave of obsession in an endless bloody cycle. Obsession turns even more bloody in Tim Burton's adaptation of Stephen Sondheim's classic musical, Sweeney Todd: The Demon Barber of Fleet Street. Sweeney's obsession with revenge not only turns out to be his undoing, but the undoing of every one around him in a tragedy on a Shakespearean scale. Revenge becomes so ingrained in him that he loses sight of his ultimate goal to become a murder-crazed psychopath. The theme of self-destruction continues in Sean Penn's Into the Wild, in which a young man's obsession with trekking into the wilderness to escape from society ultimately results in his death. 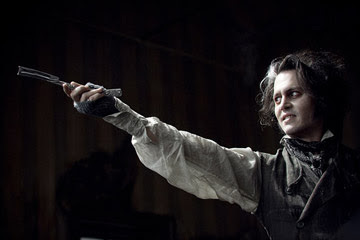 However, unlike in Sweeney Todd, something positive results from his journey - he touches the lives of everyone he meets. It's what makes the film such a life-affirming experience - Penn takes a tragedy and turns it into a celebration of life. 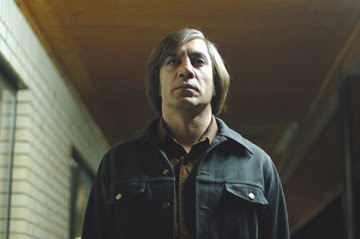 Life affirming celebrations of life are the furthest things from the Coen Brothers' mind in No Country for Old Men, in which the singular obsession of cold-blooded hitman Anton Chigurh with - killing? Duty? Drugs? Finding the money? All of the above? - drives him to follow Llywellen Moss with an icy resolve. You could probably even make a case for Atonement being about Briony's obsession with atoning for her past sins and finding a measure of peace in her life, or that Beowulf is about a man's obsession with heroism, or that Control is about one young man's obsession with himself and his music. But those may be stretching it a bit more than the ones mentioned above. What say you? Have I missed any? I just found the similar focus on obsessions between these films to be very interesting. I would love to hear your feedback on any other 2007 films that you think could be connected here. Leave your thoughts in the comments section.